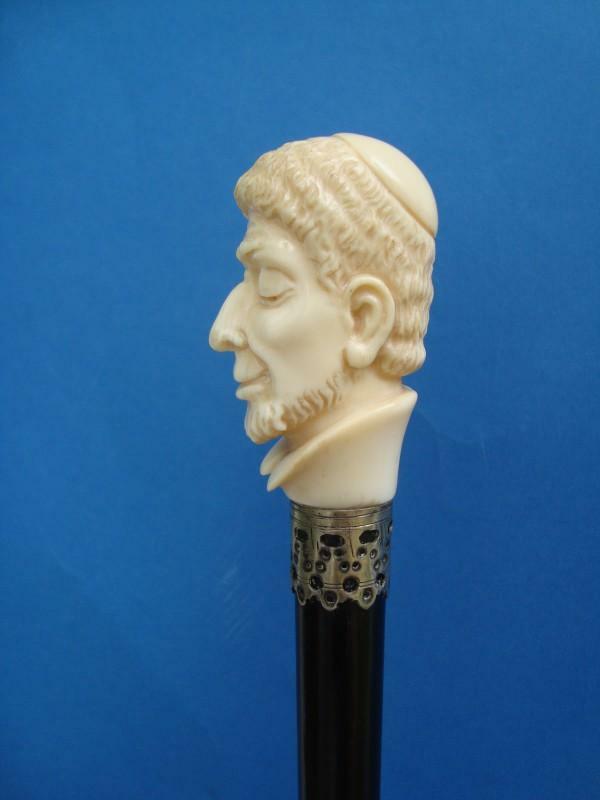 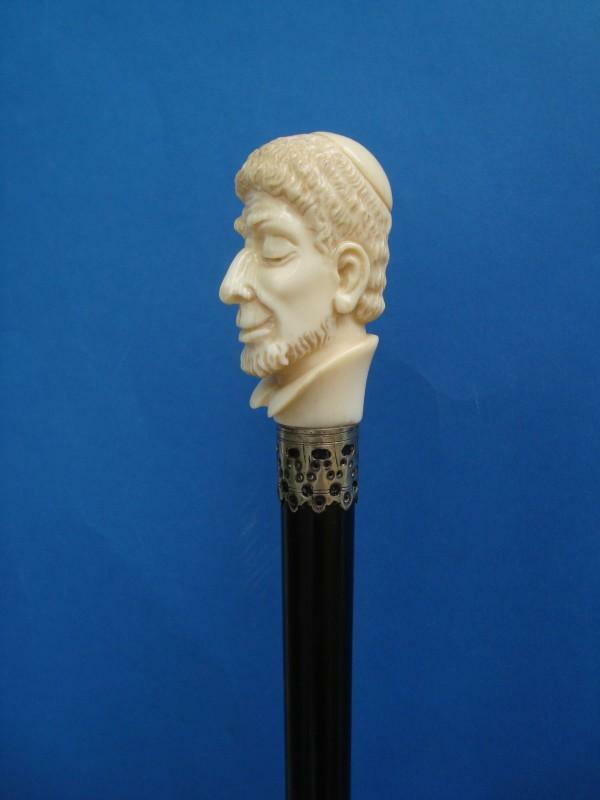 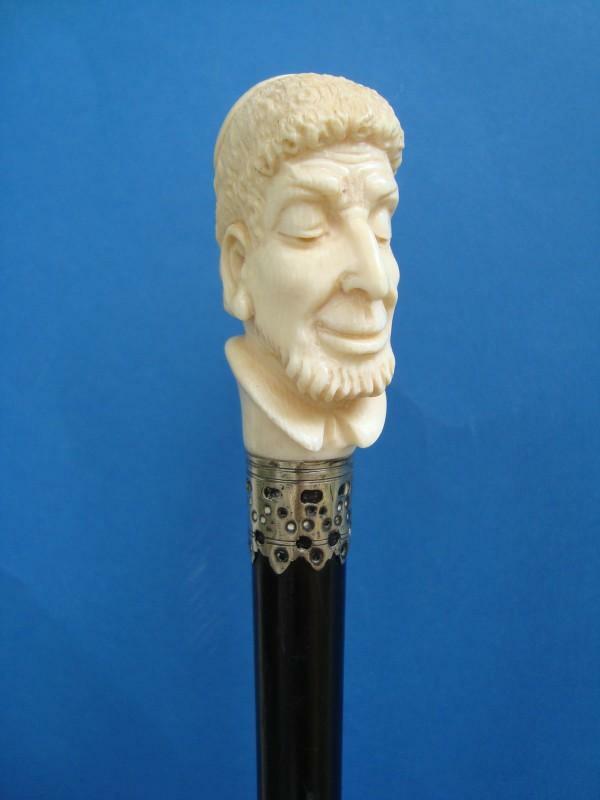 Ivory bust of a Jew. 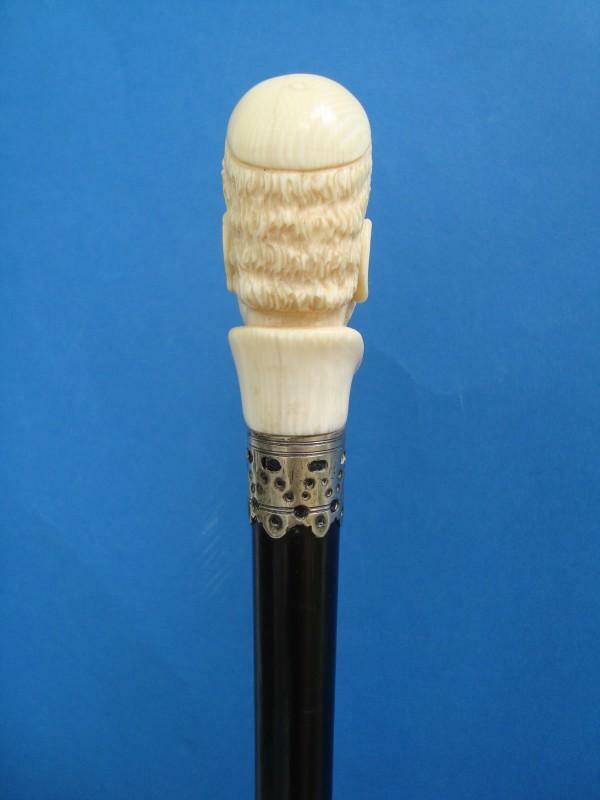 Fitted on a open worked metal collar onto an ebony shaft with an ivory ferrule. 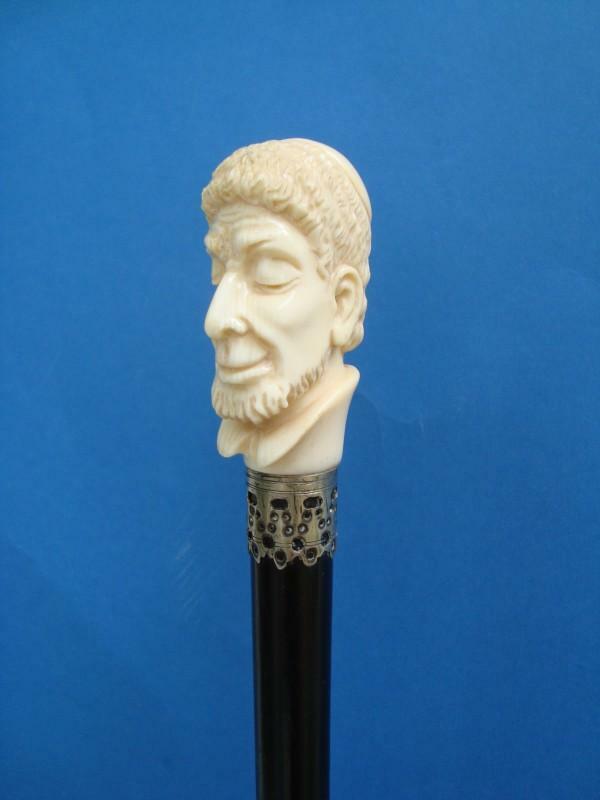 Measures; Handle, H. 6,5 cm, W. 3 cm D. 4 cm, Overall length 98 cm.